1. Teaching Theology to Kids Is Teaching Scripture. The charge to raise children in the knowledge and love of God is clearly given in the Bible (Deut. 6:6–7; Ps. 78:1–8), and teaching theology is one of the ways to fulfill that charge. The most pressing concern for those entrusted with the discipleship of children should be the faithful communication and application of God’s Word. The discipline of theology is simply the systematic correlation of biblical truths about God and all other things in relation to him. If children are learning these truths from infancy, it is able to make them wise for salvation through faith in Christ Jesus (2 Tim. 3:15). So teaching kids theology always means teaching them the Bible. 2. Teaching Theology to Kids Helps Them Read the Bible Better. 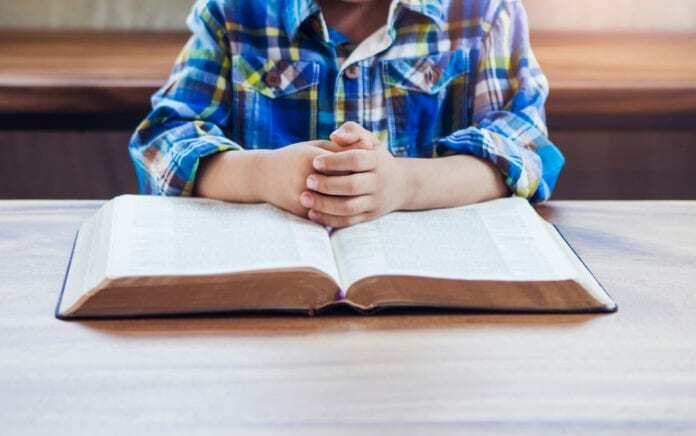 When children read the Bible, they bring their thought systems, assumptions, presuppositions and proclivities to the text; they read Scripture through the lens of whatever theology they’ve imbibed. By teaching kids theology, we are making those things explicit, subjecting them to scrutiny and making sure that the system they bring to any biblical passage is biblically informed. Knowing theology helps kids read their Bibles better. 3. Teaching Theology to Kids Is a Life-Orientating Gift. From the moment children are born, they are seeking to make sense of the world around them. As they develop, they begin to create a matrix of meaning related to life, which eventually forms a framework through which they interact with and assess every experience. By teaching children theology from a young age, we nurture the formation of a biblical worldview and guide them towards living a life orientated to God and motivated by his salvific mission in the world. 4. Teaching Theology to Kids Well Requires Hard Work and Determination. There’s no doubt that it can be hard to teach theology well to children. The greatest resistance to teaching theology to children arises because the children complain that they find it dull and boring. This complaint relates entirely to the methodology used to teach the children rather than to the content—we must never lead children to believe that “the glorious deeds of the Lord” are boring because of bad teaching. Significant effort must be given to teaching theology in a way that makes it accessible and interesting to all children. It takes hard work and determination to communicate abstract biblical truths in a concrete way, but it can be done. It takes thoughtfulness and creativity to illustrate theological points in a way children will understand, but it can be done. The theology we teach arises out of the drama of the biblical narrative, which means that our theology is not just abstract formulations but is rather inseparable from the concrete story of God’s ways in the world. 5. Teaching Theology to Kids Means That Application Is Important. Children are always asking the question “so what?” What does this mean for me, my life or my family? The “so what” factor is an important one to remember when teaching children theology. They long to know what difference all that they’ve learned makes to their lives, and so all theology must be applied well in order for children to assimilate biblical truth it into their worldview. We want children to have a robust, functional theology, rather than an academic, heady theology. This requires some understanding of the lives of the children entrusted to the care of the family and church. Take time to learn their joys and their sorrows, their peers and their parents, their play and their rest. Figure out what they are listening to and what is informing their understanding, and consider how theology interacts with or challenges those voices. We must be able to answer the “so what” question every time we teach theology to children. 6. Teaching Theology to Kids Helps Them Stand Firm in Life. Children today are surrounded by a myriad of belief systems, and as they encounter and engage with these systems they often sadly incorporate unbiblical beliefs into their worldview. One of the ways to enable children to stand firm is to ground them in a rich theological understanding of the Christian faith. Paul longs to prevent people from being tossed to and fro by “every wind of doctrine, by human cunning, by craftiness in deceitful schemes” (Eph. 4:14). By raising children to be theologically robust, we are ensuring their future stability and are protecting them from being tossed about by false doctrines. We are also instilling in them a great confidence in the Christian faith, which will allow them to stand firm in the midst of a complex and confusing world. 7. Teaching Theology to Kids Is Formative for Their Character and Foundational for Their Actions. Teaching kids theology from the earliest age shapes their character and will as they discover the nature of God and seek to develop godly characteristics. By understanding God’s purposes for his world, his method and his mission, the will is orientated to serving God and living for his glory. As well as informing the character development of children, theology also informs how they live in the world. How kids live should directly correlate to what they believe, and so theology becomes foundational for their actions as well. 8. Teaching Theology to Kids Is About the Heart As Well As the Head. There is a danger that teaching kids theology can lead to an abundance of head knowledge related to Christian things but result in little heart change. Of course, it is always right to instruct children in the things of God, because by not doing so we allow them to be informed by something other than Scripture. However, we must strive to allow theology to warm and thrill children’s hearts as well as inform their minds. Theology, done well, must inevitably result in doxology, and we shouldn’t be satisfied with less just because we’re teaching children. As they grow in theological understanding, we should pray that the children around us set an example of what it means to thank, praise and worship of the living God. Content adapted from The New City Catechism Curriculum by The Gospel Coalition, Edited by Melanie Lacy. The article first appeared on Crossway.org; used with permission. 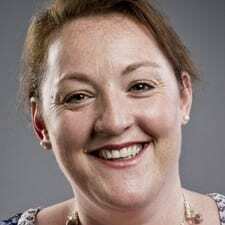 Melanie Lacy is the executive director of Growing Young Disciples and the director of theology for children’s and youth ministry training at Oak Hill College, London.